This wonderful oil on canvas is by celebrated British artist Susan Isabel Dacre. Dacre was an early member of the Feminist movement and a member of the Manchester arts community. She travelled with Lord Leighton and exhibited widely. 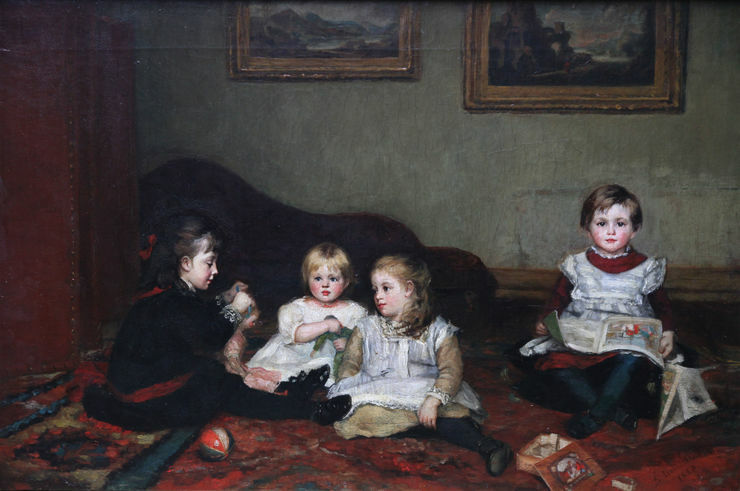 The work depicts four children at play on the living room floor. There are two paintings on the wall behind them, which leads one to wonder if it is an artist's or art lover's house. It is a lovely happy scene, beautifully captured in a realist manner. 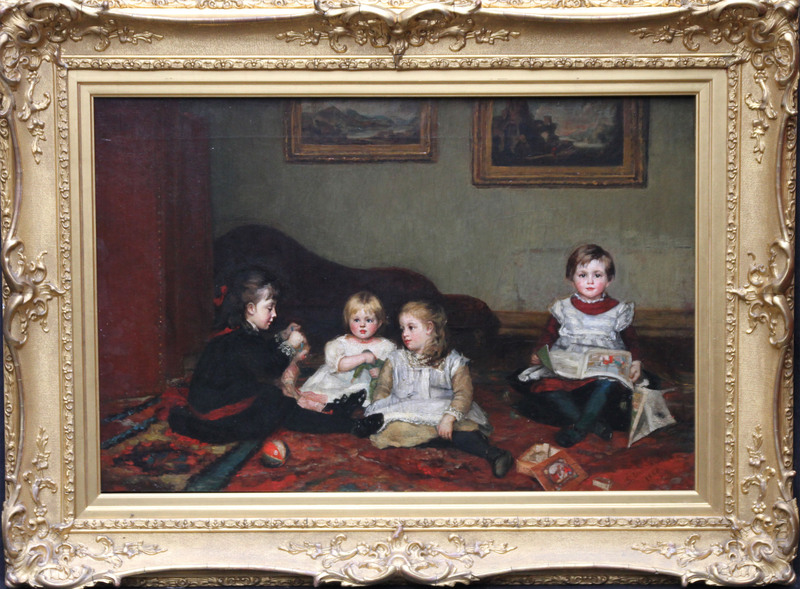 Housed in a complimentary gilt frame, 30 inches by 40 inches also in good condition.